Popular in the 1920s, particularly in bathrooms, the translucent white milk glass knobs were a staple in almost every home. All Nostalgic Warehouse door knobs are mounted on a solid (not plated) forged brass base for durability and beauty. Authentic Milk Glass and Forged Brass Construction. 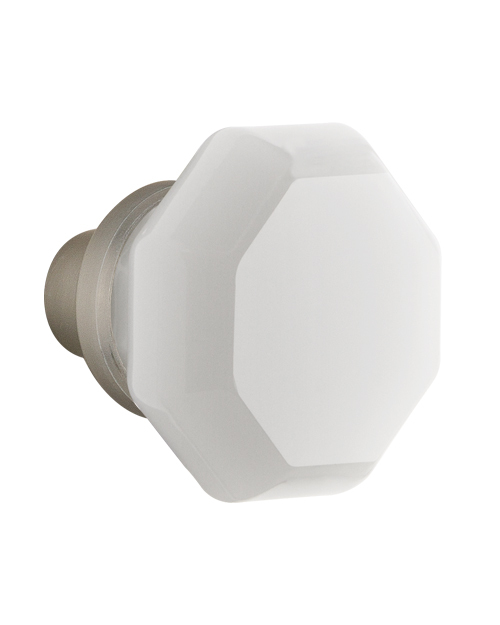 All doorknobs are sold in pairs, with solid 5/16″ (8mm) spindle. Two steel hex screws on each knob for secure mounting.